employ a part-time academic advisor who will advise students with career direction and course selection. provide students with education and professional developmental materials and supplies. fund speaker fees for monthly meetings. cover bus fees associated with traveling to two- and four- year universities for college tours. To learn more about CPCC’s MAN UP program, please visit http://www.cpcc.edu/minority-male-mentoring. The N.C. State Employees’ Credit Union Two-Year College Scholarship is an annual award distributed in two payments: fall semester, $1,250 per student; and spring semester, $1,250 per student. Must be an applicant or full-time student who is a high school graduate or has completed the General Education Development (GED) program, enrolled in an associate degree, diploma or certificate program. Must be a U.S. citizen and a resident of North Carolina under NCGS 116-143.1, and is eligible for in-state tuition. Best exemplifies the membership philosophy of credit unions, “People Helping People” and has demonstrated leadership, excellence of character, integrity, and community involvement. Demonstrate financial need using the Free Application for Federal Student Aid (FAFSA). Preference may be given to students with limited financial aid from other programs. Demonstrate scholastic achievement and maintains a 2.5 or higher grade point average on a 4.0 scale or attained a score of 3,000 on the GED test. Use the scholarship to pay tuition, books, fees, course supplies and transportation. Agrees to continue at the community college where enrolled at the time of the scholarship award for the duration of the scholarship, for four consecutive fall/spring semesters or upon completion of a diploma program. Scholarships are not transferable to another student or another school. Is not a Director, employee or family member of an employee of the State Employees’ Credit Union or SECU Foundation. Eligible applicants can be referred to the Financial Aid & Veterans Affairs Office website under “scholarships” and then “new scholarship listings” for an application. Completed applications will be submitted to the Financial Aid & Veterans Affairs Office. The application submission deadline for this scholarship for the upcoming 2012-2013 school year is August 3, 2012. Sara Dir, a student at CPCC, is the recipient of a N.C. Community College System (NCCCS) Academic Excellence Award, which will be awarded at the organization’s 2012 Excellence Event – “The Great Within the 58” – on April 19 in Raleigh, N.C. The award recognizes academic achievement, leadership and community service in one student from each of the 58 institutions in the NCCCS. Recipients must be currently enrolled in curriculum courses, completing at least 12 credit hours in an associate degree program and maintaining a cumulative grade point average of at least 3.25. A native of Toronto, Dir exceeds the award’s requirements. 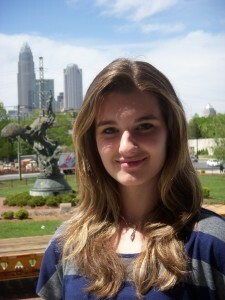 She is currently working toward completing her Associate of Arts degree, studying education and languages; maintains a 4.0 grade point average; is actively involved in the College’s Student Government Association (Vice President) and Phi Theta Kappa chapter; and serves as a part-time office assistant in the English Department.